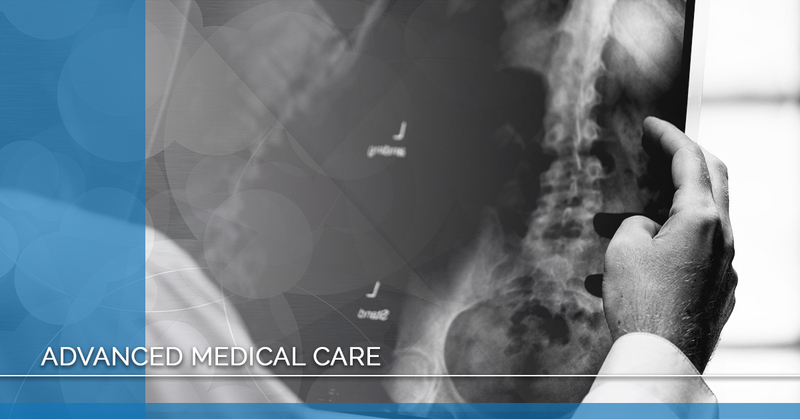 Our offices provide advanced medical care that work specifically for diagnosing physical spine problems. This is done by our medical team, who starts with thorough evaluations to determine the cause of the problem. 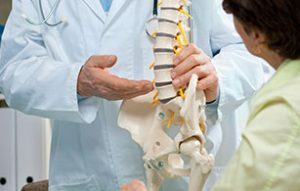 Whether it stems from muscular issues, nerve related problems, vascular problems that affect blood vessels or flow, bone and joint issues, soft tissue problems, spinal disc problems, diabetes, peripheral neuropathy, or other related problems — our team will find the source with our unique testing that offers pinpoint accuracy. Our office uses the most advanced diagnostic testing to find the source of your problem, which allows us to formulate a specific plan to correct any issues we find. 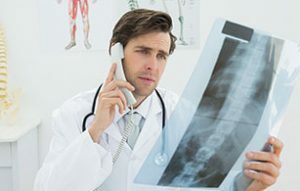 We use the following diagnostic procedures to help us diagnose any spine problems you may have. We use the best integrated medical, chiropractic, and physical rehabilitation to achieve excellent care for our patients. This allows us to produce some the best images of the spine and associated joints. These images are specific and detailed to help learn more about your particular problem. 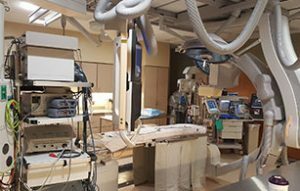 The procedure is performed by one of our physicians and read by multiple physicians to determine the specific cause for your problem that is found on these films. This procedure is particularly helpful to find bone or osseous issues, stenosis, degeneration, arthritis, arthrosis, spondylosis, IVF encroachment, bone spurs, and much more. 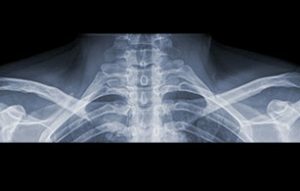 We use this procedure to specifically look at the soft tissue, fluid, and bones of the spine and associated joints. This gives us detailed imaging of the problematic area so that we can pinpoint the area of concern and make proper diagnosis. This is particularly good at finding stenosis, disc bulges, disc herniations, disc prolapses, or disc protrusions. This also will help determine any space occupying lesions that may be benign or malignant in nature and show any edematous fluids. 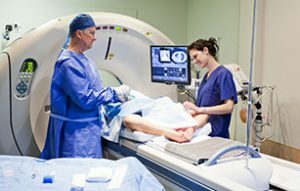 This very advanced procedure uses a variety of testing methods that look at the nerves of the upper extremities as they come from the head and the spine, as well as specifically testing the nerves that come from the spine and extend into the lower extremities. This helps our neurologist determine the exact location where the source of the nerve related problem is occurring. This is helpful to determine headaches, radiculopathy, carpal tunnel syndrome, double crush syndrome, peripheral neuropathy, radiculitis, brachial radiculopathy, impingement syndrome, nerve root compression, nerve damage, and much more. This equipment provides us with state of the art testing to help determine the muscle function of the upper and lower extremities and those associated with the spine, back, shoulders, and neck. This helps our neurologist to specifically pinpoint the symptom and the related muscle that can be part of the root cause of the issue a patient is experiencing. This sophisticated testing is used to determine upper and lower extremity blood and vascular flow that specifically relates to the arterial and venous flow of the body. This is particularly helpful for the neurologist and doctors of our team to determine peripheral neuropathy, diabetes, cold hands and feet, headaches, weakness in extremities, tingling, numbness, and much more. Our testing is used to help diagnosis conditions that are related to the spine, soft tissue, and even the joints of the spine and associated areas. These procedures help the neurologist and our team of doctors to determine the specific cause of conditions that may or may not be associated with the spine and surrounding articulations. 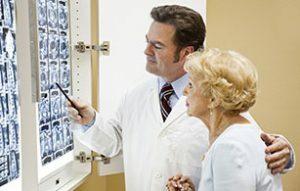 This test also looks at the soft tissues that supports these areas that cause conditions such as arthritis, degenerative joint disease, degenerative disc disease, space occupying lesion both benign and malignant, and much more. Our medical testing and procedures are used to help you learn more about the issues and pain you are facing, as well as to plan the right treatment and next steps to take. To learn more about our advanced medical care and testing methods, contact the Spine Pain Center today. We can help diagnose any problems you may be experiencing.